Above: Approaching the summit from Malaucène side. Woooohoooo. I’d had been feeling relatively fit, so I decided to try something a little crazy as the season winds down. 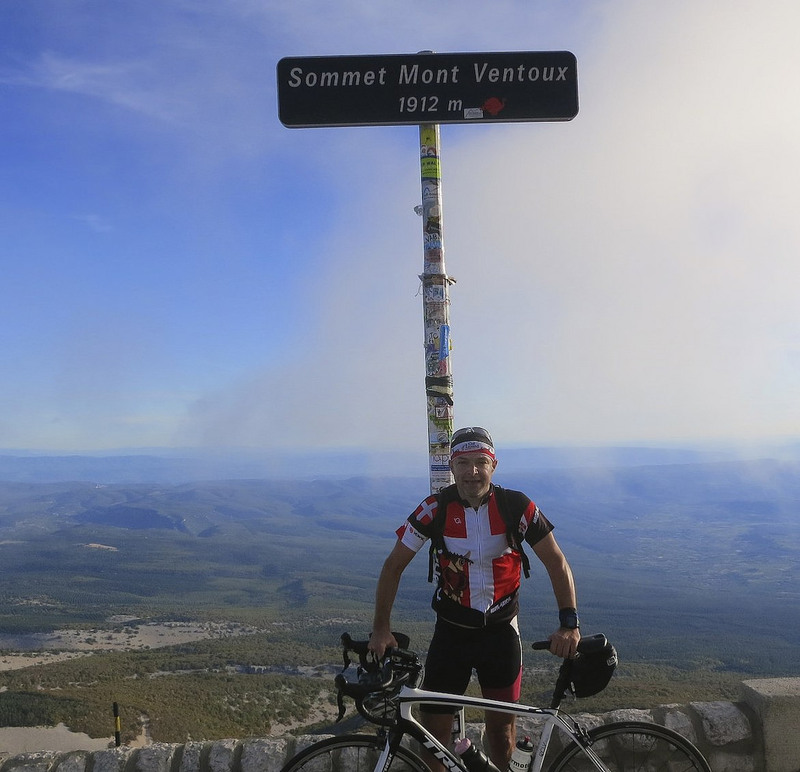 I am a little surprised but really pleased that I managed to cycle all three sides of Mont Ventoux in a single day. There is a 4th way possible by mountain bike, explained here. Easy: The first 6 kms are open, and not steep. A perfect warm-up. Very Hard: At Les Bruns, the road turn sharply left and heads up and into the forest. the next ten kilometres are consistently brutal. 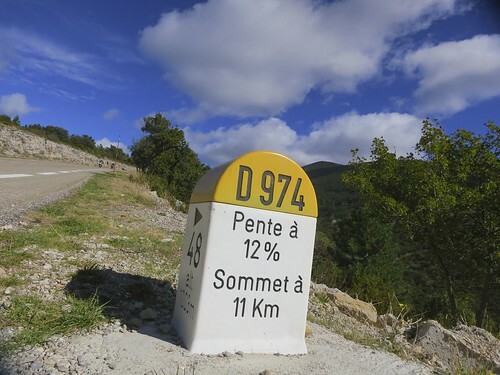 Few hairpins, but a continually wiggly road through the Réserve de Biosphère du Mont –Ventoux – a rare ecological environment. Hard: At Chalet Reynard, the route exits the woods for a final 6 glorious (and usually windy) kilometres through a unique lunar environment. I felt better than hoped heading through the woods, gradually passing several riders. At this point, I started thinking a triple ascent was at least a possibility. At Reynard the wind was howling from the north-east. This led to a bizarre experience where occasionally i had an angled wind push, and occasionally the wind in my face. Despite it being a sunny clear day in the region, I couldn’t see the summit due to fog, and the top was freezing and viewless. Not to worry, I was confident the fog would melt as the day progressed. I proceeded to descend down the back side to Malaucène. My main strategy was to eat and drink to excess all day to avoid the bonk. I probably gained weight during the ride, consuming 5 water bottles, 3 cokes, 4 gel power shots, 2 chocolate bars, one apple juice, and a huge baguette fromage. 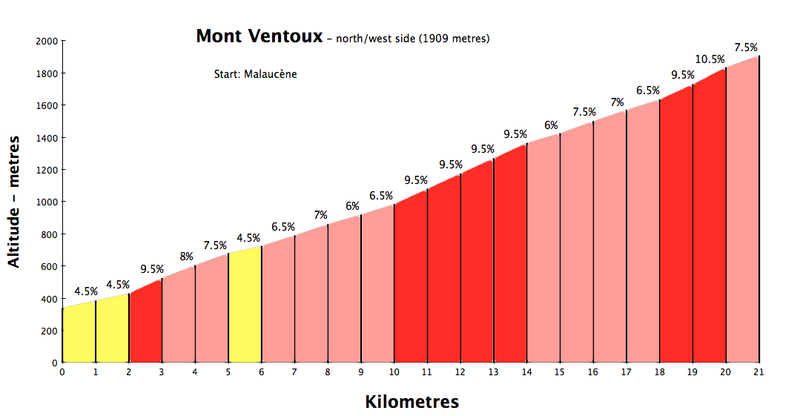 Less famous than the Bédoin side, the climb from Malaucène shares almost the exact same statistics. This is a big climb. The toughest part of this climb is a four kilometre stretch in the middle , below the little ski station at Mont Serein (see 3rd small borne photo above). Plenty of stretches well above 10%. Hard work. I snacked at the start of this side, and stopped for a coke at Mont Serein, and generally felt pretty good as I kept my effort slightly lower than my first ascent. The arrival of sun at the top didn’t hurt my spirits either. It was decision time. It was mid-afternoon, and I had to get a move on, but I decided to descend the 26 kms to Sault, and attempt the third side. This side is longer and starts several hundred metres higher than the other two side — thus it is FAR less steep. Most people call the start at the village of Sault, but the low point is a kilometre before Sault – shortening the climb – and is where I started. 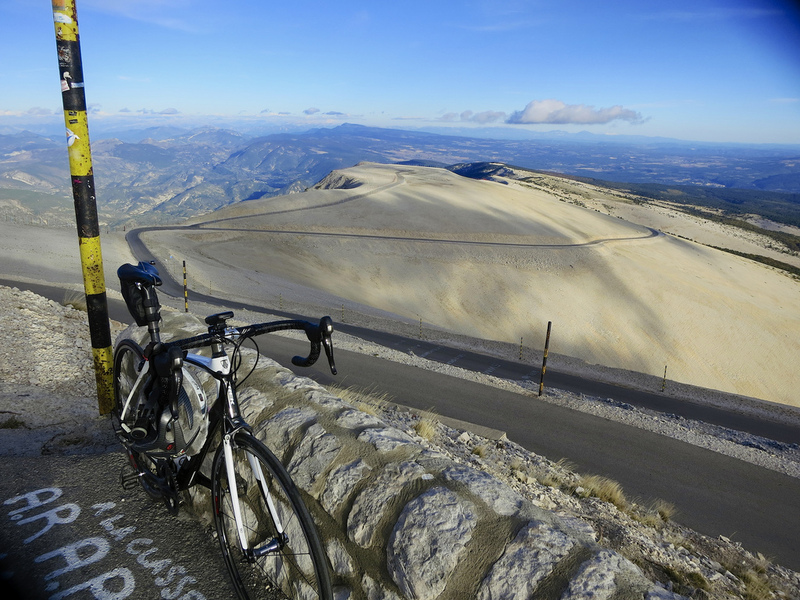 While the two tough sides of Ventoux feature impeccably surfaced, wide roads, with bike lanes – the Sault side is narrower, far bumpier, and far quieter. I saw few cars and no cyclists. Immediately, I realized I had a problem — a strong head wind much of the way. But after battling so many steep kilometres, this side was a pleasure, and the distances flew by. 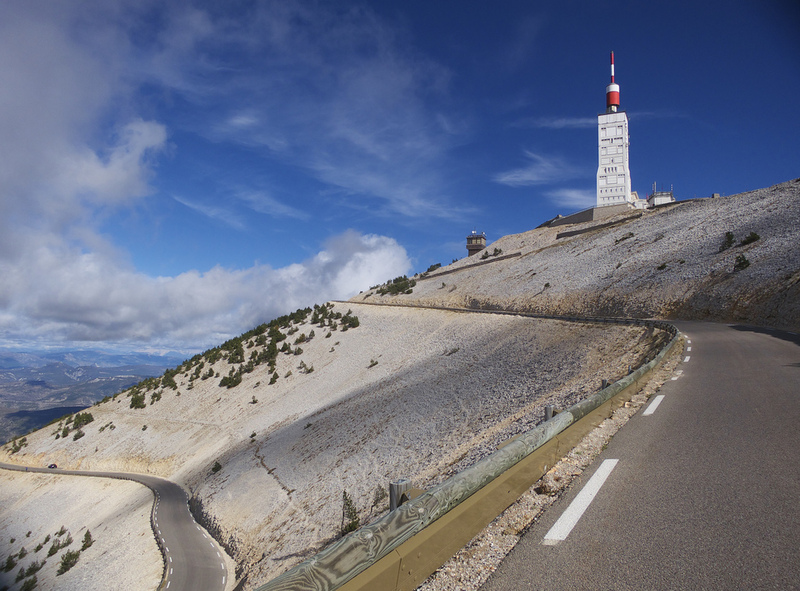 This side is perfect for someone that would like to cycle a “full Ventoux” but is slightly intimidated. Long, but rarely steep, and still the same famous finish. But at as I turned pass the col, I had a helping tail-wind as I survived the final steep half kilometre. 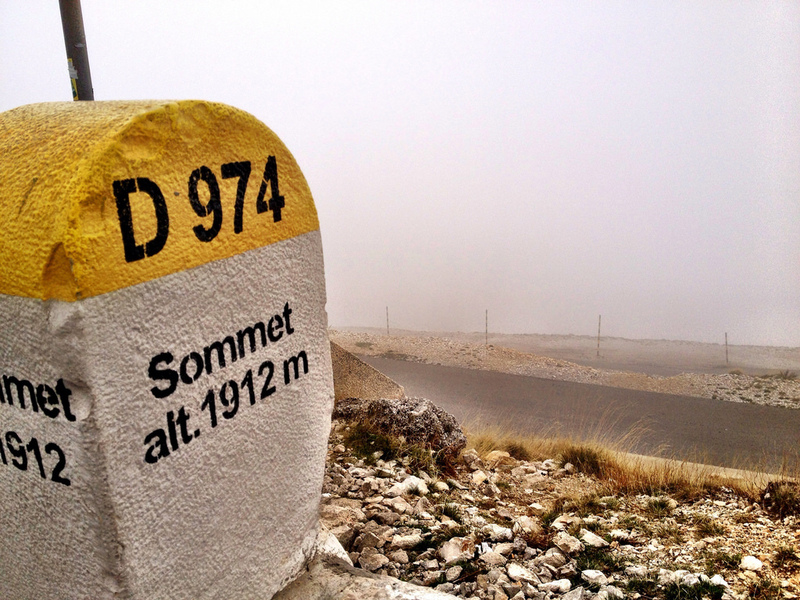 Ventoux was the last big climb I did before my year long struggle with injury that ended this May. During the lay-off In frustration, to avoid complete depression I worked-out at the gym and focused on losing some weight. Glad I did. 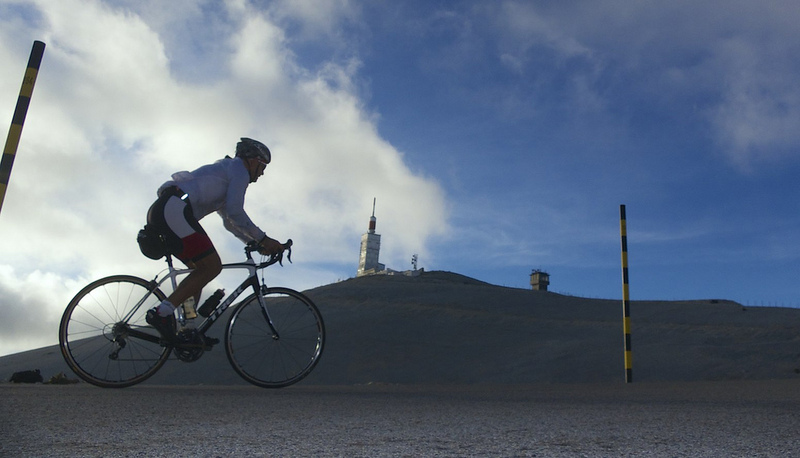 Looking for other Ventoux cycling ideas? There is a 4th way up by mountain bike: see here. 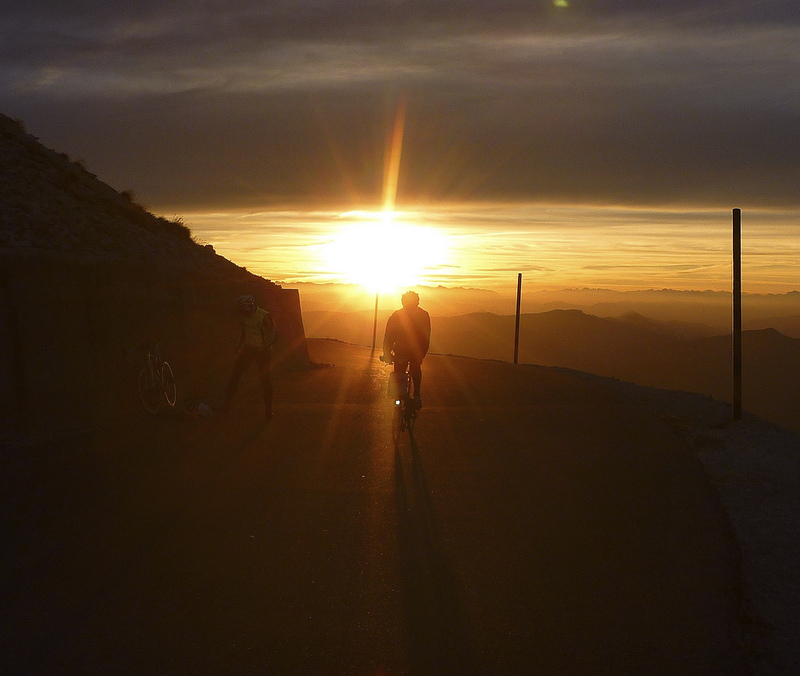 Or try cycling up to see the sunrise: Details here. A dream. I never thought I'd be able to do this. Late autumn is the perfect time for this challenge. Ensuring quiet roads and cool temperatures. You are SUPERMAN! Well done, Will! When did you start and what time did you finish? Bet you had a few isotonic high carbohydrate, malt based recovery drinks. Magnifique journée comme on peut en trouver à l’automne, le Ventoux pour toi ! Et bravo pour avoir fait 3 versants, une belle continuité à ces derniers mois… J’aurais bien aimé avoir une telle journée également. 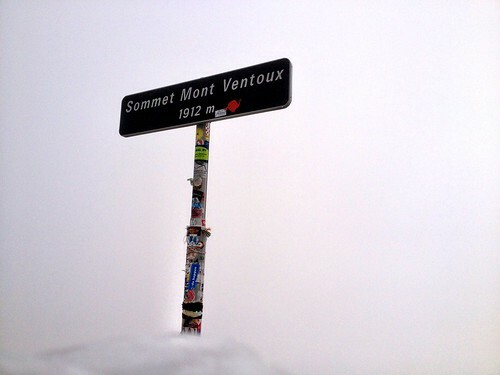 I hope you got the card stamped to be officially declared crazy, enrolled into the exclusive club ‘Cingles du Mont Ventoux’? I started a little late – 10: am. Peut-etre le Grand Colombier l’année prochaine? Inspirational… its on my list. Thanks WIll. P.
Oui Will, l’année prochaine serait bien. Si la forme est là. Well done lad. Big effort. Respect. Hello Will, thanks for your report and your very useful and inspiring web site. 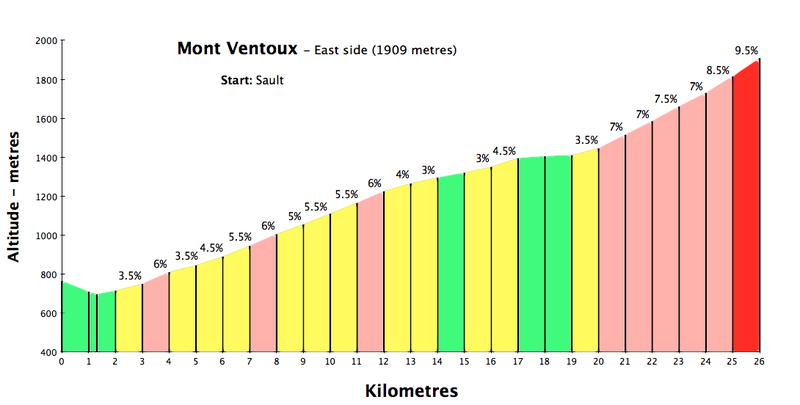 I am planning the Ventoux triple in a few weeks time and I wonder what the best sequence is. It’s a long day, and I wanted to get the hard stuff done as soon as possible to avoid dehydration, or bonk on the super steep slopes of the first two sides. For me, I wasn’t sure I could do all three sides. The Sault side is much, MUCH easier than the other two sides, And leaving it last ensured I could enjoy it thoroughly in full knowledge that I was going to succeed. Blimey!……u r a super star! I’m not sure how long I’ve been visiting this site – but some years ago you came up with great suggestions for cycling around Les Carroz and I’ve been pointing the front wheel uphill ever since. 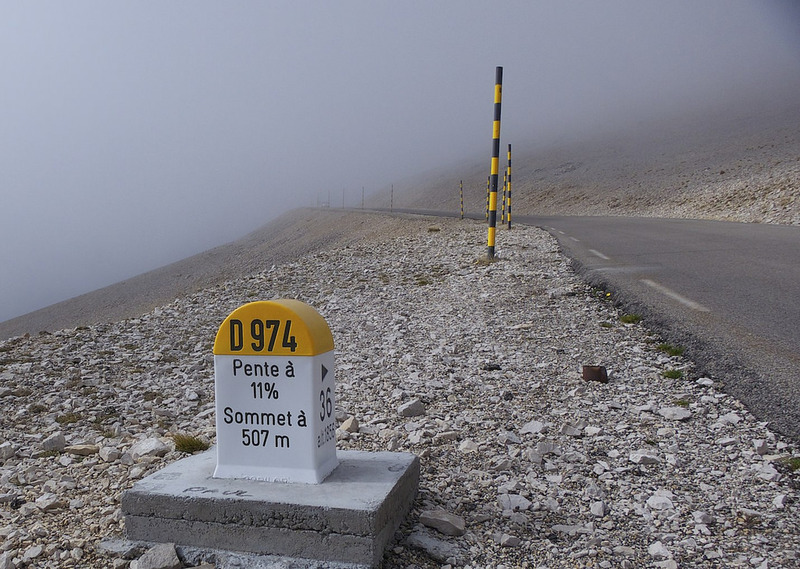 Next month (at 60) it’s L’Eroica followed by an attempt at the Cingles du Mont Ventoux – thank you for the continued inspiration! Cinglés: cold, windy and tough. 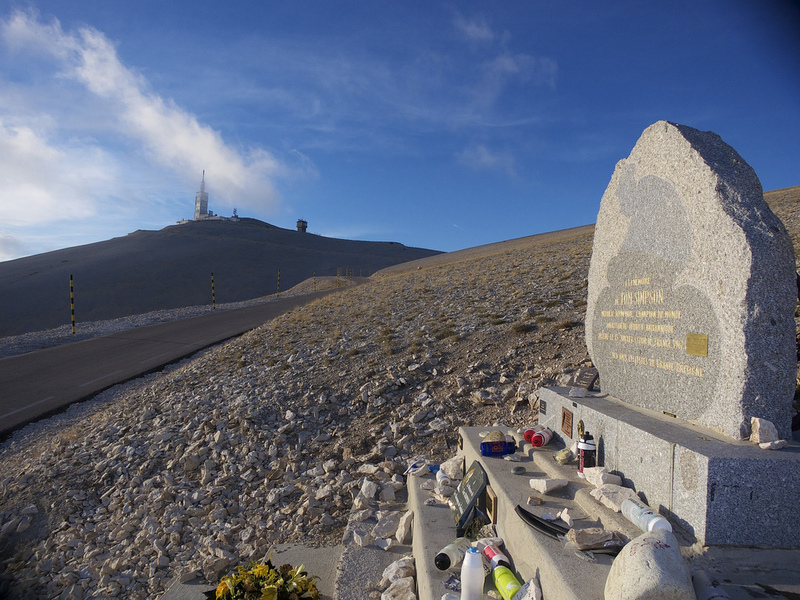 We will be out for the Tour as it visits the Haute Savoie in July and will look out for you if we decide to watch near the top of the Joux Plane. Good job! One day I hope to do these Ventoux climbs. My older brother Steve (> 60 years) rode up all FOUR routes in one day a few years ago. Something he is (rightfully) quite proud of. Hi I’ve just done the three yesterday and am hoping to persuade my wife to do the Sault route before we leave. I think you’re right about the order of the routes having done both of the steeper sides as “one dayers”. My personal preference is for the Bedoin route since I live and cycle in Yorkshire so I don’t mind the changes in gradient and it’s good to get this one done first. Also it means there’s a gap between the two ascents from Chalet Reynard. This is my personal favourite, although even I agree that the forest never seem to end. The second ascent was from Malaucene. Yes it really does have a really nasty middle where you have to grin and bear it. Psychologically I just ignored this middle climb and pretended it didn’t happen and just concentrated on the first and last climbs. And so it was midday and I was in Sault – what a lovely climb – nice easy gradient and you can really open up your legs and enjoy it. But the climbs did catch up with me after Chalet Reynaud – let’s just say I didn’t post my best time. 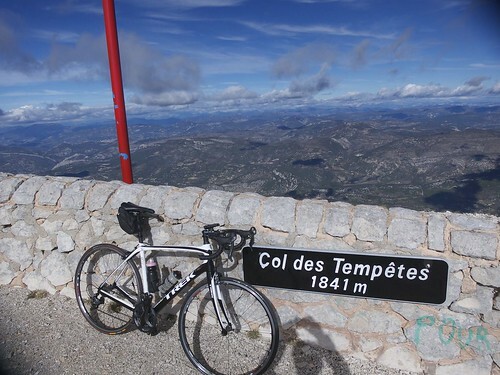 If you’re fit and used to climbing this is definitely a goer – and there’s a great feeling at the top when you also have a fast descent back to the warmth of Bedoin to look forward to!! Congratulations on beating the challenge. Friends and I are in the planning stage for the Cingles Club ascent sometime in May/June next year. 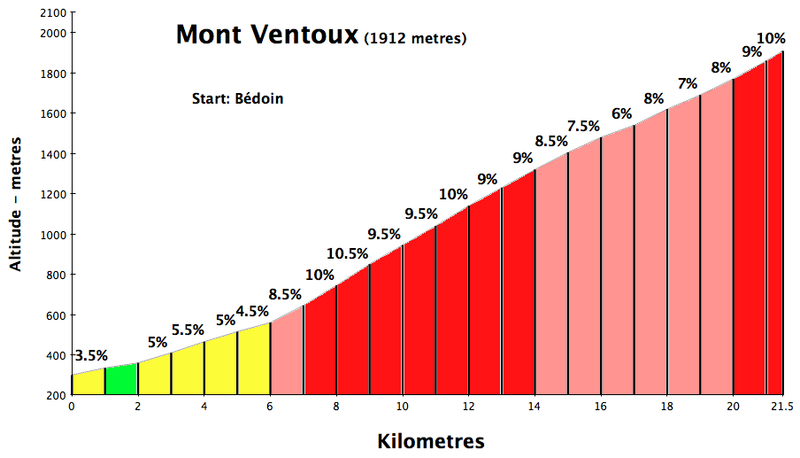 The rules state that the climbs should be done in one day. As this is a 24 hour period, we have a plan to start in Bedoin and overnight in Malaucene (via the top of course), start early the next day for Sault and finish in Bedoin before the 24 hour period expires. Not sure if this is within the spirit of the challenge, so would appreciate your comments. So climb Bedoin side late one day, and climb Malaucene side and Sault side early the next day? For me? Why not? The challenge is for fun. That would be a very nice accomplishment. Again, my advice is to enjoy and if your plan gets you three ascents within a 24 hour period then I say congratulations and consider yourself a club member. I can’t seem to raise the official cingles web-page. My on-page advice is that the site may be hacked. 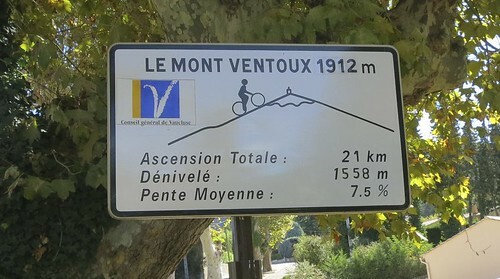 The Veloventoux site states the climbs should be completed “all in one day” and the Marmot Tours page “3 times in a day”. Hello! I just discovered your blog because I am in Cevennes right now doing a bike tour. Thinking of doing the Cingle the same way after… I did Malaucene 3 years ago. Reading your blog I have been me feel inspired and encouraged to try it!! Katy, best of luck and enjoy. Your blog really inspired me to try the triple/Cingle which I did yesterday (23 August 2017). I found the Bedoin side the hardest, probably as I always take hours to warm up. The Sault side (which I did last) also felt tough in the 35 degrees heat until I hit the easier middle section and had a super tailwind. Thanks so much for all your blogs/route info, they have given me load of ideas for future trips, I hope they stay on the net for many years to come! Nick, congratulations, great achievement, especially in the heat. Thanks a lot – a really interesting and helpful blog. We’re looking at the potential to do this next year. One of my questions is which is the better of the three towns to base ourselves in? We’d need to hire bikes out there and have hotel accommodation, so is there a ‘better’ one of the three to stay in? I don’t know. All three are small but nice villages. Perhaps Bédoin is more touristy/cycling focused? Personally, I like to stay in Avignon when I visit the area. Beautiful old town, and Papal Palace. Anyone else have an opinion? Triumph of the Will sounds a bit Leni Riefenstahl, but well done! Thinking of doing this next year, but climbing Swains Lane and Muswell Hill are my local practice rides. Think I will need to do a few repeats. Would you recommend the train with a bike container, and then pedal to the base as a warm up? I have a long weekend to do it but covet a Cingles membership. Sorry, I have no experience with train travel there. Myself and a few buddies did it on Wednesday. We started at 05:00 and finished 14 hours later. Toughest thing I have ever done on a bike. Well worth the training and effort on the day. Weather was wet on the Maucelene side, muggy on Bedouin and bloody awful for the last bit of Sault. Temperature varied from 30°C to 1°C across the day. We are all guys , bar one lady, in our 50s and 60s, from Ireland. I completed it on September 29th 2018. It was utterly exhausting and I finished in the dark. Thinking about it now still gives me a high. Your blog helped so much.